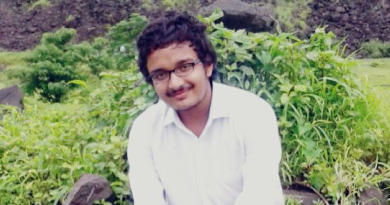 About the Author: Suman Mishra is pursuing B.Tech from DY Patil University, Mumbai. He talks about his experience of doing multiple internships and how they helped him in getting an edge over his peers. I came across Internshala in my first year of B.Tech quite dramatically. I was still in shock for not getting an admission into a reputed college and thought of channelizing my energy and time into doing something productive. While searching for how to prevent my resume from going into the trash, I came across internships and while searching for part-time internships, I stumbled upon Internshala – a website that offered free services to find a paid internship! My journey with Internshala began as an Internshala Student Partner 6.0. As an ISP, I was responsible for spreading awareness about internships and the opportunities Internshala offers to students. During the first two days of the registration contest, I got more than 120 registrations and became the face of Internshala on my campus. The journey as an ISP was invaluable for me in terms of popularising the culture of internships in my college and receiving respect and love from my college mates. After my term as an ISP was over, I worked as a campus ambassador for the Entrepreneurship Cell of IIT Bombay. Next, I applied to an internship at Nearbuy through Internshala and got hired after the screening of my resume and statement of purpose. As an intern (fondly called Nearbuy Ninjas there), I was involved in digital marketing and content writing, which pushed me to explore a variety of fields. I received an internship certification and a letter of recommendation from Nearbuy after the completion of my internship. My tryst with internships didn’t stop there, and I applied to a business development internship at Unacademy. After suggesting almost ten areas of improvement within the English category of Unacademy, I was hired. This internship proved to be an amazingly valuable experience as I got my hands dirty on cold calling, meeting with clients, and troubleshooting the issues faced by potential educators. By the end of two months, I had gotten fifteen new educators on the Unacademy platform with their first course already published. The work culture at the organisation was pretty chill, and my mentors were extremely helpful. I was elated on receiving the stipend and bought an Amazon Kindle with it! I then applied to a 2-week internship at United Nations Volunteers for their International Women’s Day 2018 campaign. The selection process primarily involved the screening of my resume and my response to the ‘Why should you be hired for this internship?’ question. I was intimated about my tasks, which were related to digital marketing, event management, and content writing, on Google Classroom. Internshala’s contribution to my resume didn’t stop there, and I got selected as a youth marketing volunteer at Kailash Satyarthi Children Foundation for their nationwide movement against child trafficking and sexual assault on women, known as Bharat Yatra. I filled in an application form on their website and was hired after they were convinced of my attitude towards social work and volunteering. My tasks were to closely follow the movement since its genesis and promote the event on social media platforms such as Facebook and Twitter. I was also responsible for content writing and spreading awareness about Bharat Yatra on my campus. The best part of this internship was meeting with the Nobel Laureate Shri Kailash Satyarthi and actor Vivek Oberoi at Bombay Stock Exchange, Mumbai, during the curtain-raiser event of Bharat Yatra. I’ll always cherish how Shri Kailash Satyarthi embraced me and encouraged me to keep my spirits up for working towards the betterment of the society. I even got the opportunity to be the gender champion of the Internal Complaints Committee of my university owing to my previous volunteering experiences. I now work towards preventing gender inequality and sexual harassment at my college. Throughout these stints, I realised how internships not only help us gain confidence and hone our communication skills but also figure out our true calling. I had no clue about the field in which I wanted to pursue my career when I started college, but 6 internships later, I know that I wish to work towards the social and economic upliftment of women in our country. I believe every student should try her hand at different things by doing a variety of internships. This will not only help them in building an irresistible resume but also in personal development. Has Suman’s exciting journey convinced you enough for applying to an internship? Register on Internshala here and find your true calling. Please register here – http://bit.ly/new-registration to begin your journey on Internshala. Once you’ve registered and logged into your account, please visit https://internshala.com/internships/government-internship to apply to all government internships available on Internshala.